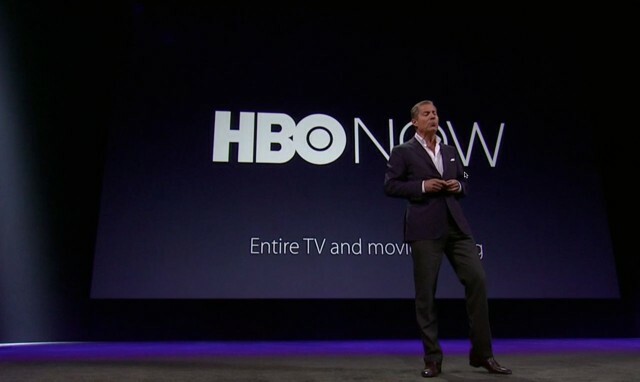 The Apple TV price tag got slashed to $69, but more importantly it will be the cord-cutter’s gateway to HBO Now. An exclusive (at least for now) deal means Apple TV users can purchase access to everything HBO has to offer — without subscribing to cable or satellite. You’ll be able to get all past and present HBO content for $14.99 per month, starting in April. This is the first time the cable TV content provider has ever gone off the cable-subscription grid, making shows like Game of Thrones and Silicon Valley accessible to anyone with an internet connection and an Apple TV, iPhone, iPad or Mac. With 700 million iPhones sold, and the iPhone 6 and 6 Plus receiving a 99 percent customer satisfaction score, Apple’s smartphone continues to dominate. 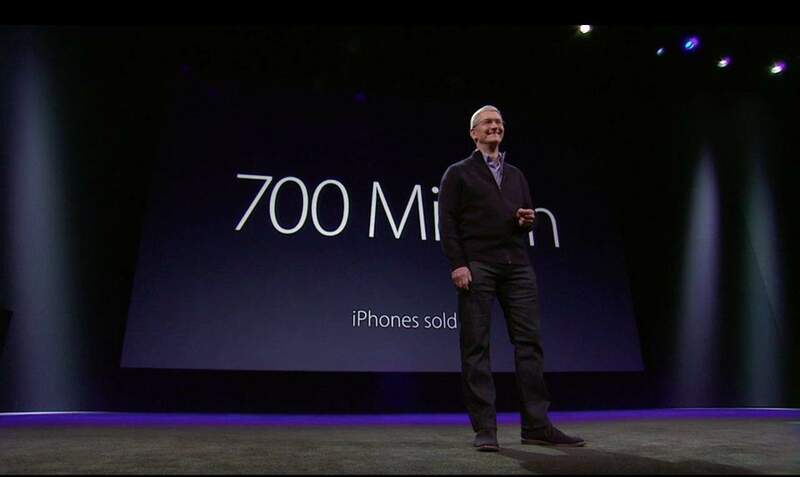 Stunning 49 percent year-over-year sales growth helps make the iPhone what Apple is calling the No. 1 smartphone in the world. Apple partnered with five medical research centers to create five new apps (available today) that will let consumers opt in to medical research into asthma, Parkinson’s disease, breast cancer, diabetes and heart research. 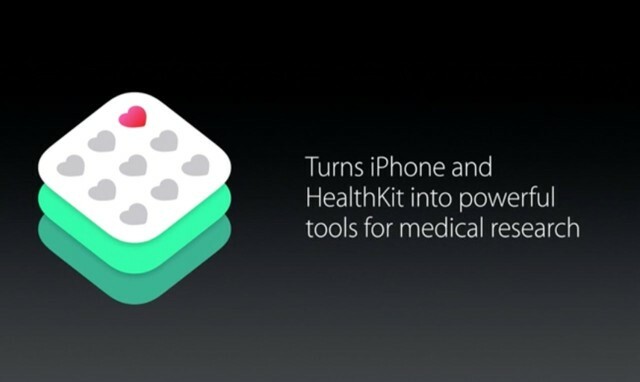 Anyone with an iPhone can now participate in actual medical research. ResearchKit, as the framework is called, will let researchers gather and assess quality data from a large number of people, and Apple will never see the data itself, giving complete privacy to all participating. 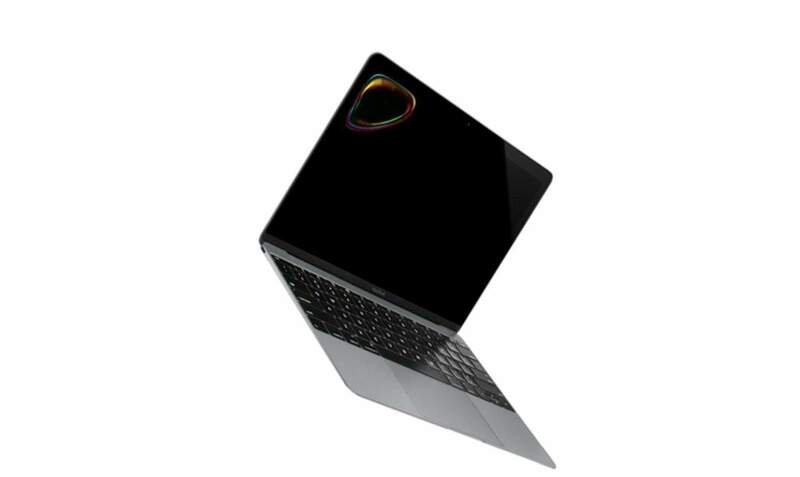 The new Retina MacBook — available in silver, space gray and gold — is the lightest and thinnest Mac ever made. It’s got an all-metal enclosure and a 3.3-million-pixel Retina display on a 0.88 mm-thin panel. It starts shipping April 10, with the base model (8GB memory, 256GB SSD) coming in at an affordable $1,299. The innovations needed to make something this small and light were numerous, including a new type of keyboard key, a new, terraced battery configuration, and a 67 percent smaller logic board that requires no fan. The Air and the Pro will continue at Apple, making the new MacBook a center sibling for Apple fans. 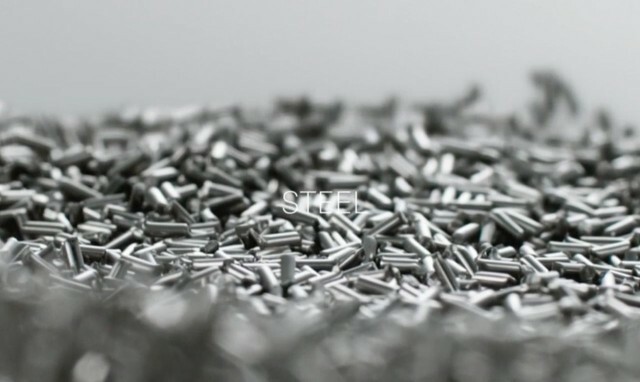 In the videos shown today, Jony Ive’s dulcet tones told us all about the new metal alloys Apple has created to make its products so light and strong. From “aluminium” to stainless steel, the Apple Watch will be stronger, lighter and just plain cooler than any metal on your wrist right now. 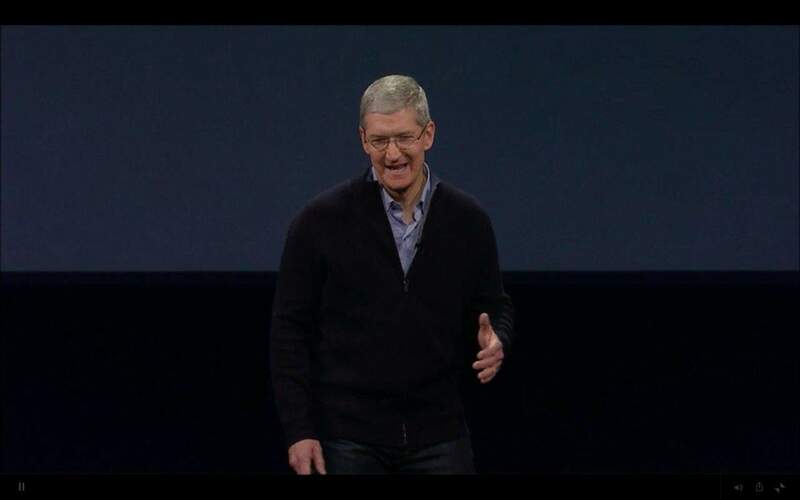 Tim Cook used the M word at least twice during today’s spinfest. Forward movement is critical to Apple’s future (and its stock price), especially when naysayers complain about a lack of innovation since Steve Jobs’ death. 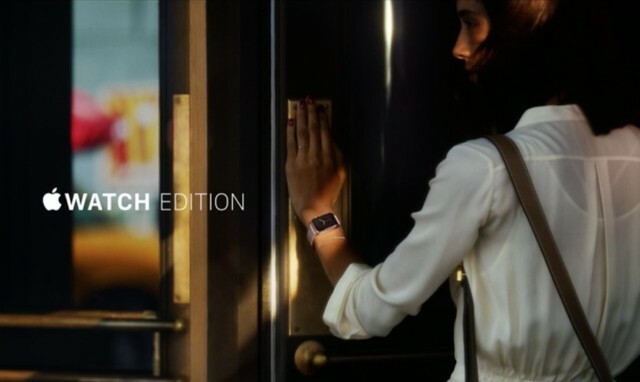 The Apple Watch and the new MacBook definitely pack in technical innovations, but the momentum that Cook is referring to — as Cupertino rolls out Apple Pay in more and more locations and uses CarPlay, HomeKit and HealthKit to worm into more areas of our lives — is crucial to the company’s plans. Increasingly, Apple will provide the platforms that rule the world.